This is an annotated version of the article Book of Mormon Translation at lds.org. To display the annotation, click on the note numbers at the end of a paragraph (Note 1, Note 2, etc.). Click again to hide the note. The annotations are not part of the original article. Joseph Smith said that the Book of Mormon was “the most correct of any Book on earth & the keystone of our religion & a man would get nearer to God by abiding by its precepts than any other Book.” The Book of Mormon came into the world through a series of miraculous events. Much can be known about the coming forth of the English text of the Book of Mormon through a careful study of statements made by Joseph Smith, his scribes, and others closely associated with the translation of the Book of Mormon. The endnote to this sentence contains a reference to “the identity of the angel”. When Joseph Smith first published this story as editor of the Mormon newspaper Times and Seasons, he wrote that the angel’s name was Nephi (volume 3, no. 12, pp. 753-754). Shortly afterwards, this was repeated in the British publication The Latter Day Saints’ Millennial Star (volume 3, no. 4, p. 71) and after that in the first edition of the Pearl of Great Price as well (1851, p. 41). The reason for this mix-up is unclear. Most Mormon authors assume it was an honest mistake, all the more so since Joseph Smith referred to the angel’s name as Moroni in other publications (for instance in Doctrine and Covenants 2013, p. 46). However, these authors don’t usually point out who made the mistake and why it wasn’t corrected until the 1878 publication of the first US edition of the Pearl of Great Price. Historian D. Michael Quinn (1998, pp. 199-200) explains that the first Mormons freely interchanged the names Nephi and Moroni. “Nephilim” are mythical creatures from the Bible (Genesis 6: 1-4). This fits Joseph Smith’s early narrative of his discovery of the Book of Mormon: as a hidden treasure, guarded by a spirit (Marquardt & Walters 1994, pp. 89-115). In later retellings, this spirit first became an angel, then (a) Nephi, and finally Moroni. The purpose of this parchment – one of three which the Smiths used in their treasure quests – is to conjure up a good spirit. It can be determined by the astrological symbols that this parchment was made between September 12 and 21, 1823. And it worked, because two days later Moroni appeared and told about a buried treasure of gold plates. It is unclear what is meant by “the fullness of the everlasting Gospel”. Many elements which are typical to Mormon theology and liturgy do not occur in the Book of Mormon, or are contradicted even. This applies, for instance, to the concept of God (Trinitarian in the Book of Mormon, monolatric in modern Mormonism), the afterlife (heaven and hell in the Book of Mormon, multiple kingdoms in modern Mormonism) and all Mormon temple rituals such as baptism for the dead. “This prophet Smith, through his stone spectacles, wrote on the plates of Nephi, in his Book of Mormon, every error and almost every truth discussed in N. York for the last ten years. He decides all the great controversies – infant baptism, ordination, the trinity, regeneration, repentance, justification, the fall of man, the atonement, transubstantiation, fasting, penance, church government, religious experience, the call to the ministry, the general resurrection, eternal punishment, who may baptize, and even the question of freemasonry, republican government, and the rights of man. All these topics are repeatedly alluded to” (Campbell 1832, p. 13). 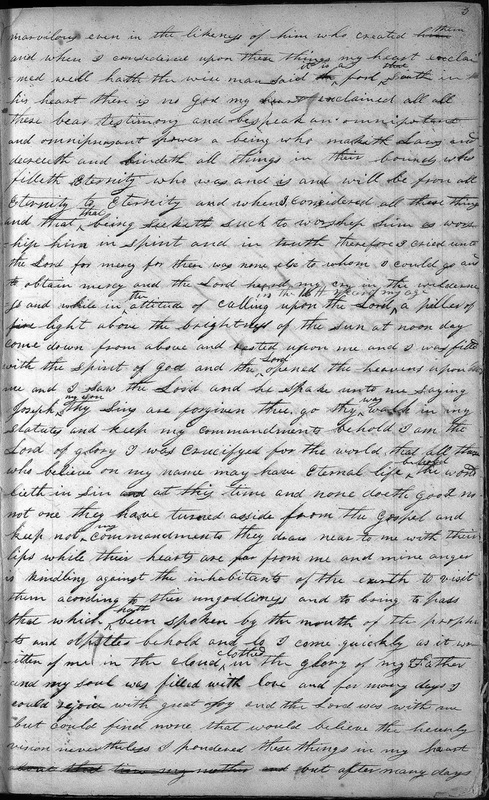 The assertion that Joseph Smith could not write a coherent and well-worded letter at the time of translation is contradicted by his October 22, 1829 letter to Oliver Cowdery, which is both coherent and well-worded. In Mormon history, Joseph Smith’s education and intelligence are often downplayed. The reasoning behind this is that Joseph Smith’s alleged lack of sophistication means he could not possibly have written the Book of Mormon by himself, which in turn means the story of the angel with the gold plated must be true. This, of course, is a false dilemma because these are not the only two possible explanations for the origin of the Book of Mormon. Joseph received the plates in September 1827 and the following spring, in Harmony, Pennsylvania, began translating them in earnest, with Emma and his friend Martin Harris serving as his main scribes. The resulting English transcription, known as the Book of Lehi and referred to by Joseph Smith as written on 116 pages, was subsequently lost or stolen. 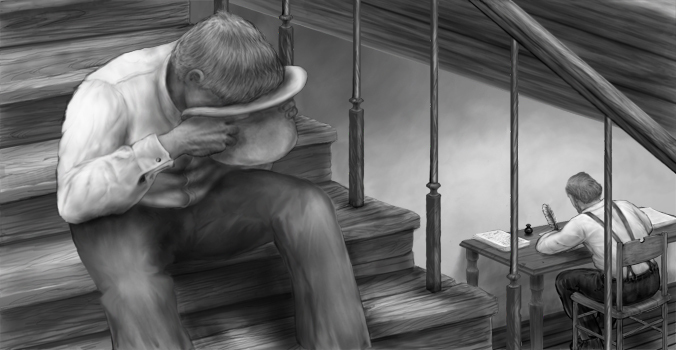 As a result, Joseph Smith was rebuked by the Lord and lost the ability to translate for a short time. To further emphasize the miraculous origin of the Book of Mormon (apart from downplaying Joseph Smith’s education as explained in note 3), Mormon writers like to point to the three months in which most of the book was supposedly translated. They interpret this short timespan as proof of the divine origin of the Book of Mormon because they assume that nobody could write such a book in only three months (despite the fact that Mormon author Stephenie Meyer, without previous experience, wrote her first Twilight book in three months after she dreamt about a vampire). In reality, the first reference to the gold plates dates back to 1823 (Marquardt & Walters, pp. 89-96). This early date not only concerns their discovery but also their contents. Lucy Smith, the prophet’s mother, said that Joseph Smith already gave detailed descriptions of “the ancient inhabitants of this continent” in 1823, including “their dress, mode of travelling, and the animals on which they rode; their cities, their buildings, with every particular; their mode of warfare; and also their religious worship” (Pratt 1853, p. 85). “Lehi’s dream” was actually a dream Joseph Smith’s father had in 1811 (compare Book of Mormon 2013, pp. 14-16 to Ingleton 2005, pp. 85-88). It can be argued, therefore, that the content of the Book of Mormon gradually evolved between 1823 and 1829. That it then took a team of people three months to compile the final version, is not very miraculous. These kinds of mistakes indicate that the scribes were copying an existing manuscript (see this site to read a more detailed treatment of this subject). “Some grammatical constructions” in a 600-page book are not characteristic of Near Eastern languages, they are indicative of cherry picking. All Near Eastern grammatical constructions which Mormon authors claim to have identified in the Book of Mormon over the years also occur in other books which we know have no Near Eastern origin. An interesting example in this regard is Solomon Spalding’s “Manuscript Story”, which has been named as a possible source for the Book of Mormon since the 1830s. If “some grammatical constructions” in the Book of Mormon already suggest that the base language of the book was not English, does this apply to “Manuscript Story” as well, in which similar constructions can be found? Unlike most dictated drafts, the original manuscript was considered by Joseph Smith to be, in substance, a final product. To assist in the publication of the book, Oliver Cowdery made a handwritten copy of the original manuscript. This copy is known today as the printer’s manuscript. 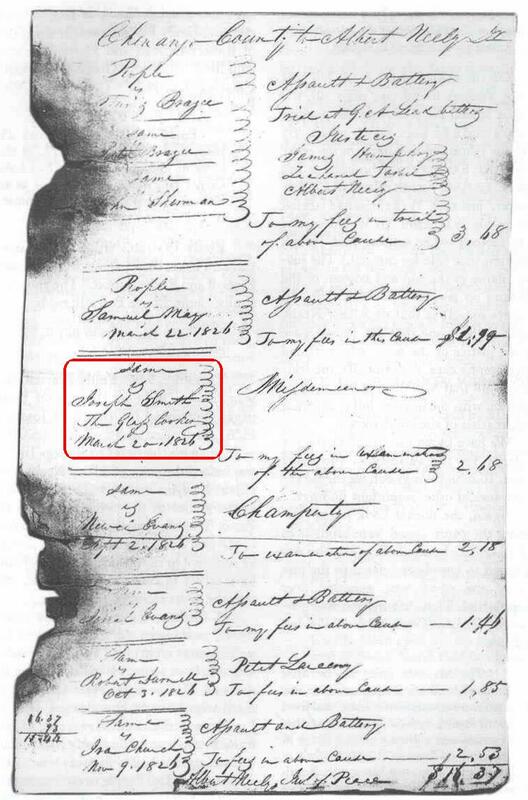 Because Joseph Smith did not call for punctuation, such as periods, commas, or question marks as he dictated, such marks are not in the original manuscript. The typesetter later inserted punctuation marks when he prepared the text for the printer. With the exceptions of punctuation, formatting, other elements of typesetting, and minor adjustments required to correct copying and scribal errors, the dictation copy became the text of the first printed edition of the book. Sacred objects as a means to channel knowledge from the gods are found in many cultures: animal bones and organs, sticks, needles, dice, crystal balls, the flight of birds or the crawl of snakes, the position of the moon and the stars, hallucinogenic plants, etc. One of the defining characteristics of Christianity is the rejection of such sacred objects, especially in the context of organized religion. The Catholic church integrated some magical elements in its liturgy and doctrine but also held frequent campaigns against witchcraft, sorcery and magic. Protestantism displays a similar ambivalent attitude. That is why magic never attained the same status in Christianity it held in pagan religions (Stark & Bainbridge 1987, pp. 104-109). For this reason, the occult roots of Mormonism have always raised the question whether the Mormon church is a Christian church. Emphasizing precisely those elements in Bible that most Christians are skeptical of, or even dismissive about, may not help the Mormon church’s efforts to be perceived as a Christian church. Joseph Smith stands out among God’s prophets, because he was called to render into his own language an entire volume of scripture amounting to more than 500 printed pages, containing doctrine that would deepen and expand the theological understanding of millions of people. For this monumental task, God prepared additional, practical help in the form of physical instruments. There are no persons “who saw the interpreters” as described here. The endnotes to this paragraph only present second- and third-hand sources who recount what they remember, 5 to 10 years after the fact, of what other people claimed that Joseph Smith or his associates said. The earliest source listed in the endnotes for equating Joseph Smiths “seer stones” with the Urim and Thummim is a speculative 1833 newspaper article (although an 1832 source exists, see Marquardt & Walters 1994, p. 104). Joseph Smith did not consistently use the term Urim and Thummim in his stories about the origin of the Book of Mormon until 1835; the first published source is from 1842. Joseph Smith possessed multiple seer stones throughout his life, two of which date back to 1819 and 1822 (Quinn 1998, pp. 43-44). At least one of these stones is currently owned by the Mormon church (Smith 1956, volume 3, pp. 225-226). Adding the phrase “like others in his day” creates the impression that searching for hidden treasures with magical stones was a normal pastime in New England in the 1820s. Although it occurred with some frequency, it was also considered fraudulent and it was against the law. Joseph Smith was convicted for “glass looking” under that law on March 20, 1826. This interpretation is not consistent with the facts presented above. The early provenance of Joseph Smith’s seer stones, as well as the late introduction of the current story (as found in the Pearl of Great Price) about the coming forth of the Book of Mormon in general, and of the term “Urim and Thummim” in particular, all suggest that the Urim and Thummim as “a clear pair of stones bound together with a metal rim” never existed but are a later invention. “Interchangeability” is not an option, therefore, since there was no mention of the Urim and Thummim during the time the Book of Mormon was written. There is virtually no information about the Urim and Thummim in the Bible; it is not even clear what kind of stones they actually were. The way in which modern Mormons think about the Urim and Thummim can be traced back to the folk traditions of New England immigrants from Britain, which in turn are based on various 18th-century publications about magic (Quinn 1998, p. 40). To Mormons, using the term “Urim and Thummim” may sound very Biblical but in reality this only confirms the occult origins of Mormonism. It is unclear who is meant by “some people”. What is clear is that the Christian world takes issue with the occult origins of Mormonism in general and the Book of Mormon in particular. Referring to esoteric practices in the Bible does not alleviate these concerns but affirms them (see notes 7 and 11). “Some accounts indicate that Joseph studied the characters on the plates”: there is no evidence for this translation method. “Most of the accounts speak of Joseph’s use of the Urim and Thummim (either the interpreters or the seer stone)”: these are actually three methods. There is no evidence for two of them (the Urim and Thummim, and the interpreters), only for the use of seer stones. “Many accounts refer to his use of a single stone”: this method is indeed mentioned by Joseph Smith and various contemporaries but it is basically the same as the third method from the previous sentence. 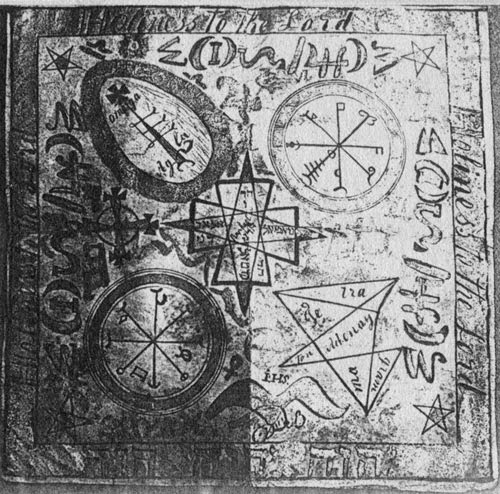 In summary it is clear that Joseph Smith and his associates claimed to have “translated” the Book of Mormon using a magical stone in his hat. The historical sources do not support any other method. Nevertheless, only the other methods are currently taught and depicted in the Mormon church. Unless one supposes that it was important to God that the Book of Mormon contain the same translation errors as the King James Bible, the evidence suggests that large parts of the Book of Mormon were simply copied from the Bible. In that same conversation with her son, Emma Smith also stated that Joseph Smith had never received a revelation about polygamy, that he never practiced polygamy and that polygamy was not taught during Joseph Smith’s lifetime, neither openly nor in secret (Newell & Avery 1994, pp. 300-303). Emma Smith did not necessarily tell the truth in that conversation – possibly because she had an interest in painting Joseph Smith in as positive a light as possible to facilitate the founding of a new church by her son, as the prophet’s successor. Note how Martin Harris and Oliver Cowdery are regularly referred to as “Harris” and “Cowdery” throughout this article while Joseph Smith is always referred to by his full name or his first name. Mormons are conditioned to distrust anyone as “anti-Mormon” who uses “Smith” only (although a completely normal and accepted practice in written texts about historical personalities). Although the translation of the Book of Mormon is supposed to be the subject of this essay, it doesn’t really provide clear information regarding Book of Mormon origins. Did Joseph Smith look at the gold plates or in his hat? Did he use the interpreters or his seer stones? Did he “at once begin where he had left off” after a break or did he require confirmation for every sentence that was written down? The entire article raises more questions than it answers but then again, given the occult context in which the historical facts clearly place the origin of the Book of Mormon, that may just be the purpose of this anonymous internet publication. Joseph Smith consistently testified that he translated the Book of Mormon by the “gift and power of God.” His scribes shared that testimony. The angel who brought news of an ancient record on metal plates buried in a hillside and the divine instruments prepared especially for Joseph Smith to translate were all part of what Joseph and his scribes viewed as the miracle of translation. When he sat down in 1832 to write his own history for the first time, he began by promising to include “an account of his marvelous experience.” The translation of the Book of Mormon was truly marvelous. The article started with the announcement that much can be known about the coming forth of the Book of Mormon through a careful study of statements made by Joseph Smith and his associates. This has proven to be an empty statement. The sources used and the historical facts referenced hardly support anything of what is asserted in this essay. There are many theories about the origin of the Book of Mormon. It’s obvious that large parts have been lifted from the Bible. Joseph Smith’s contemporaries recognized the then current religious and social themes in the area. Some, like Mormon scholar and church leader B.H. Roberts, think they can detect traces of plagiarism in some Book of Mormon themes (Madsen 1992). Others even claim that the Book of Mormon is entirely based on external sources like an unknown manuscript from Solomon Spaulding, “The Late War” (Hunt 1819), “The First Book of Napoleon” (Eliakim 1809) or E.T.A. Hoffmann’s “The Golden Pot” (Palmer 2002, pp. 135-174). None of these theories is discussed, or even mentioned, in this article. Instead, all bets are placed on a supernatural explanation which (inadvertently) emphasizes the occult origins of the Book of Mormon. An appeal to the supernatural, however, cannot put the Book of Mormon out of reach of critical analysis. The book contains many factual assertions about people, places and events which can be compared to what we know from other sources about the time and place in which the Book of Mormon is supposedly set. The conclusion of such critical analyses has remained unchanged since the Book of Mormon was published in 1830: the Book of Mormon is a 19th-century work of religious fiction. What keeps changing over the years, are the explanations of Mormons why the Book of Mormon is still “the most correct book on earth” even though it has been contradicted by every discovery in the fields of language, history, geography, archaeology, biology, agriculture, genetics, demographics, etc. for almost two centuries now.